Open to the public. Current and past BATS members encouraged to attend! 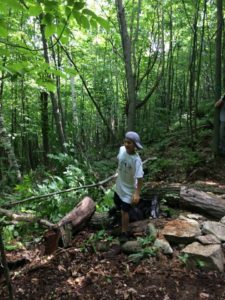 Help us shape out current and future visions (and trails)! This week we will stick to the “usual” route and bike up Dewey Street, to Stark Street and use the SVHC trail to connect to our network. If you want to start from SVC, plan to be at the kiosk around 5:40ish. Bring a light just in case. Plan for 1 hour with leader. *Any updates will be posted either to the BATS Facebook, or relayed via our GroupMe App which we use for Group Rides and Trail Work/Events to round up you good folks.Only canceled if hazardous weather or no leaders available. Tools provided, or bring your fave. Only hazardous weather will cancel. Dress appropriately and bring h20 & snack. Regular Vols will get a text alert via the GroupMe App or Facebook if last minute changes..
We hope to see you on the Trails! DID YOU GET YOUR TICKET YET?! GET ONE HERE! ALL proceeds going toward the pump track project on Stark Street! SPREAD THE WORD TO FRIENDS & CO-WORKERS (Send out a friendly work email?)! Interim path is open to walkers, mountain bikers or other cyclists with wide enough tires. The paved, federally-funded project is slogging through the VTrans/ANR process. Construction likely 2-3 years away. Individual and Family Memberships. The money we receive goes back to the trails. 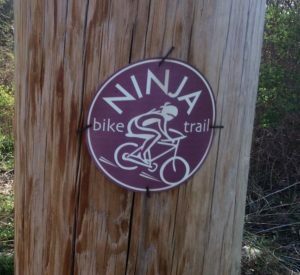 Membership perks other than knowing you support trails: $3 pints at Harvest Brewing., 10% off service and 15% off in-stock non-sale clothing at Highlander Bike Shop, and trail pass discounts nearby.